The following is a brief recap of the Tues., August 22, 2017, BPS101 Regular Board Meeting. View the agenda and all supporting documents from this meeting and minutes from previous meetings. View BATV’s recording of this meeting. The Board placed a tentative budget for fiscal year 2018 on display on July18. After hearing from the public and reviewing updates to the budget from Administration, the Board is scheduled to adopt the FY18 Budget on September 19. 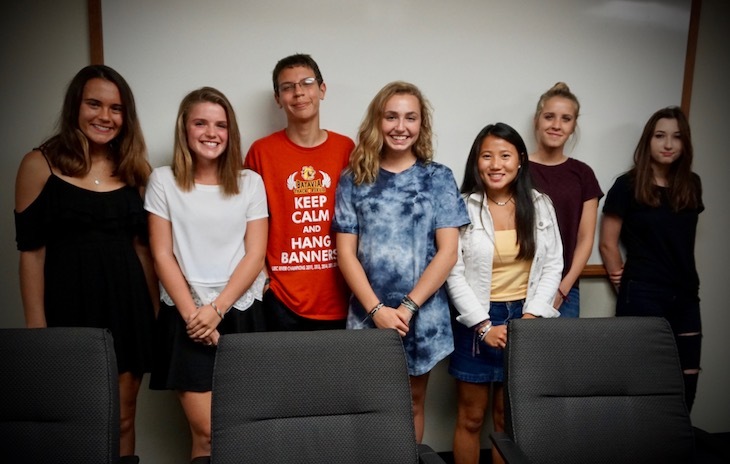 At the July 18, Board Meeting, Board Members asked Administration to provide additional background on student fees, supplies, and to summarize the typical costs incurred by parents each year when sending a child to BPS101. BPS101 Chief Financial Officer Tony Inglese presented this report at the August 22 Board Meeting. During the presentation, Board President Cathy Dremel asked Administration to better communicate to parents about resources for financial assistance. A Financial Assistance page is now appearing under “Parents” on the BPS101.net home page, detailing the three types of financial assistance available at BPS101: Free & Reduced Meals, Waiver of School Fees, and Payment Plan. This information will also be shared via District E-News and social media with special emphasis before each new school year begins. Interns meet twice a month at 8 a.m. on late start Thursdays at the high school with BPS101 communications manager Sue Gillerlain. They will be assigned feature stories, staff and student spotlights, videos, script writing, BATV “It’s News to Me” on-air segments, photo shoots at events, and social media posts.